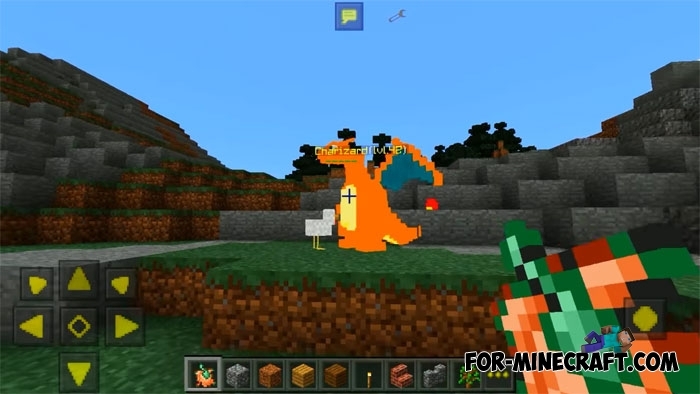 PokeCraft is the best Pokémon mod for Minecraft PE, no doubt. There are many items, functions, structures and other things. The mod includes almost all the features from the original franchise. You will be able to catch and release Pokemons, use a variety of commands and to remember the childhood (or maybe not). How to find a Pokemon? One of the advantages of this mod is that the pokemons can spawn around the world. 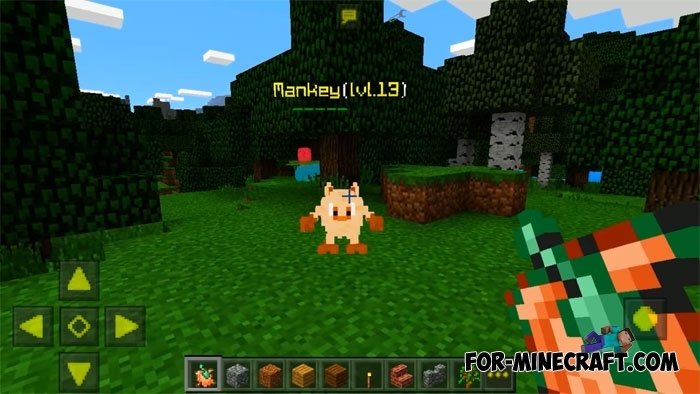 Thus you can explore the world and meet new pokemons in different biomes. This is a very cool and works great in a survival mode. 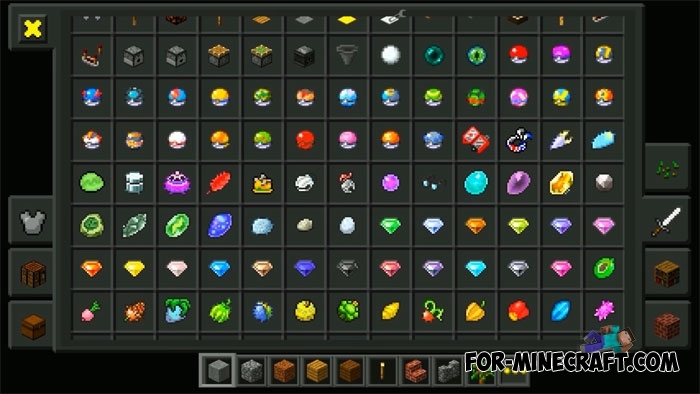 In addition, you can take spawn eggs (creative inventory) if you do not want to search for creatures. How to catch and release Pokémons? To do this, use a pokeball. Come to found pokemon, select the pokeball and make a long tap. There are two options after that: you can catch or not to catch the creature, it all depends on the pokemon level. You will be difficult to catch him if it has a high level (the level is displayed next to the name of the creature). To release a Pokémon type this command - /r. Before that, you need to select caught Pokémon in your inventory (/ s ). Pokémon will continue to exist in the world, if you release it. How to find a Pokeshop & Pokedex? Wandering the world, you can stumble upon one of these buildings. At the moment, they can not be used, or rather these structures are useless. You will not be able to train your pokemons or learn characteristics. However, these functions can be added in future versions. 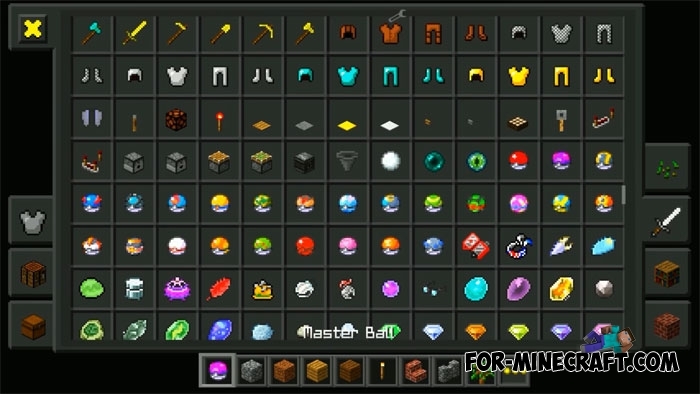 Currently player can get all the items (about 40 pcs) in inventory of creative mode. There are no crafting recipes so it's the only way. If a developer wants to expand the PokeCraft mod, then this shortcoming will be definitely fixed. You will see a little changed the world around you, as well as a new interface. All details were made in the Pokémon style, and it looks quite nice. There are new sounds, be sure to install them. 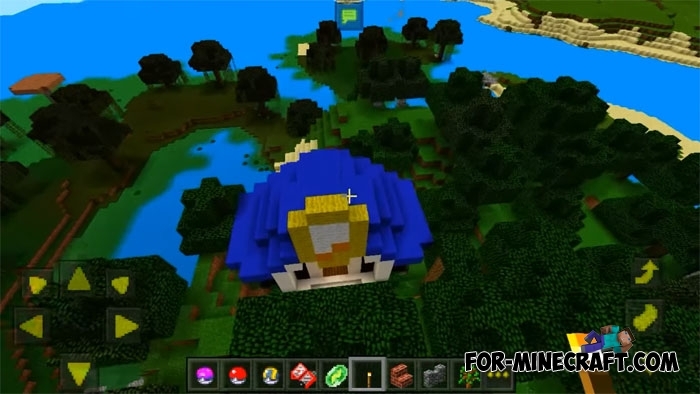 How to install the PokeCraft mod? Download the archive (it contains all files: the script, sounds and texture pack). Use the new version of BlockLauncher for the installation. Can't seem to get it to work. Won't load the textures and resources right. What am I doing wrong?